Postojna is probably the northernmost place we will go (apart from the arrival and departure days). But it’s so special, we can’t skip it. The town itself is nothing special. It’s one of the highest slovenian towns and it’s quite cold here most of the time. But it has some fabulous sights in vicinity that we can’t skip. One of them is for sure Predjama castle. It’s the biggest cave castle in the world. It‘s over 800 years old and stands in 123 m high rocky wall. It is connected with a cave underneath with mysterious underground tunnels. You can visit the castle all year round, but the cave is open for tourists only from May to September, as it has a large colony of bats, which need lots of peace for their winter slumber. The most famous inhabitant of the castle was the knight Erazem and to him a medieval knight tournament is dedicated. It takes place in front of the castle every summer. Then you have two caves nearby. The most famous one is surely Postojna cave, where you will see more than 5 km of underground tunnels and halls partly on foot and partly from a cozy electric train. The cave also hosts the oldest underground postal office. In Slovenian karst caves live more than 150 animal species, among which the most famous is the so called human fish (Proteus anguinus). Part of Postojna cave is also Proteus cave with aquarium, where you can meet this rare and endangered species up close. In 2016 a female has laid 64 eggs, which is a true rarity. The first documented laying of eggs by human fish dates to 2013, also in Postojna cave. During the year you can visit blues festival here, while in Christmas time there is a living nativity scene and concerts in the underground caves. 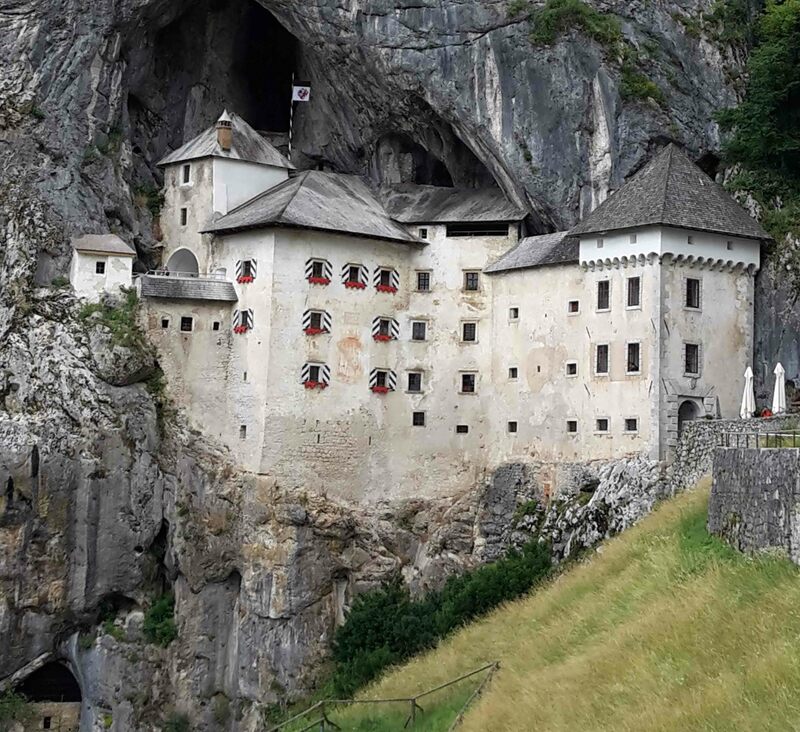 Since you‘re in Postojna, don‘t forget to check out the splendid Karst Museum. The only Slovenian caves, included on the UNESCO world heritage list are Škocjan caves near Divača. The caves are a system of underground caverns, through which river Reka flows, creating the largest underground canyon in Europe. There are many kilometers of paths, with 500 steps. Route goes through huge halls, passing 15 meters tall stalagmites and over bridges, where you can view underground waterfalls, of which there are 26 in the cave system. Around the caves, regional park has been founded, with learning and biking trails. Less known among tourists, but maybe even more mysterious is the cave Vilenica. It is the first tourist cave in Europe, and until 19th century the largest one. It was named after its mysterious inhabitants, underground good fairies. In the Dancing hall there is an annual estival of International literary award Vilenica.